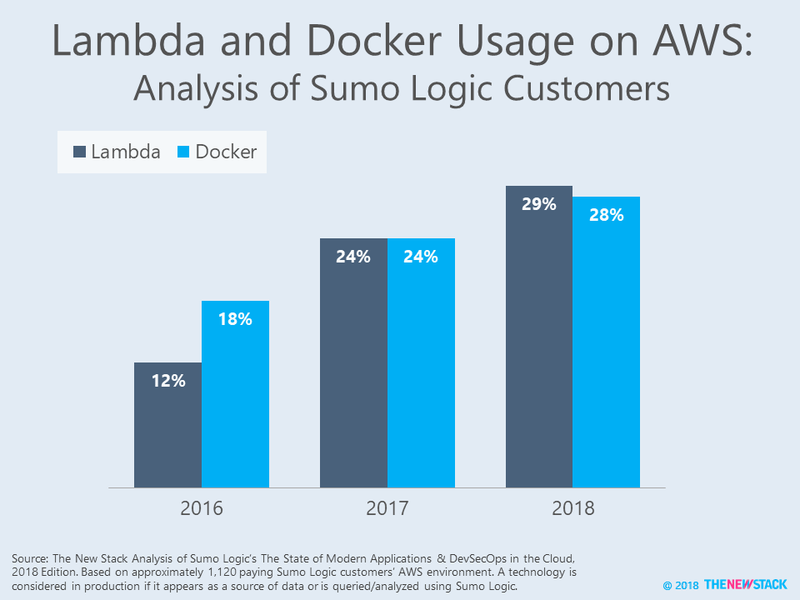 Docker came racing out of the gates in 2014, Lambda soared in 2017, and these “competitors” are now neck-and-neck in 2o18. 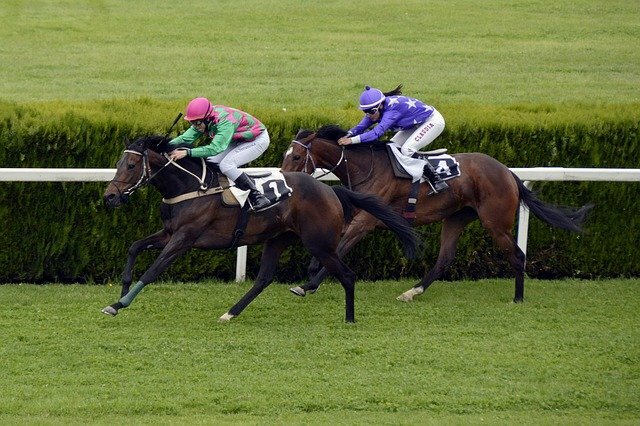 The horse race analogy is one way to look at results in SumoLogic’s third annual The State of Modern Applications and DevSecOps in the Cloud. This simplified view does not tell us for what types of applications are being supported, nor does it provide insight into the scale of these deployments. What it does tell us is that analyzing adoption patterns of cloud-native technologies is tricky. Instead of using survey data to determine the state of adoption, Sumo Logic analyzed anonymized data about applications that included in its customers’ logs and reporting of AWS cloud environments. The report did not show how many customers are simultaneously using both containers and functions, but we expect that figure would be high. Due to the limitations of this approach, there is no way to determine if container adoption would be much higher than FaaS (function as a service) if on-premise and multicloud environments were included in the assessment. In contrast, a recent survey found that container adoption found that container use outpaces serverless computing, possibly because it was asking about adoption across an organization, no matter what environment it is being used in. The New Stack’s latest serverless survey asked if containers or functions are the preferred level of abstraction. Stay tuned for the results in upcoming articles. Looking at the remainder of the report, AWS-branded technologies continue to perform well versus generic open source offerings. 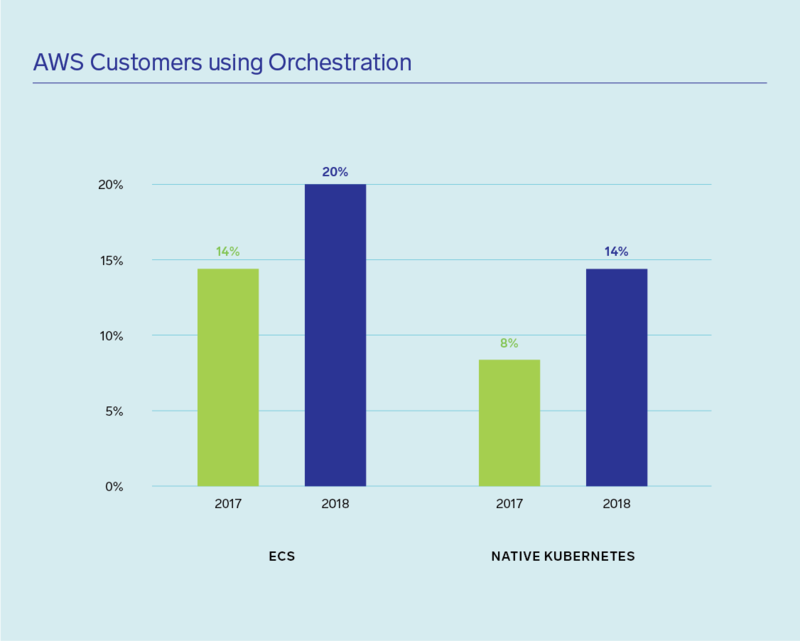 For example, despite a surge in Kubernetes adoption, AWS ECS continues to maintain a six percentage point edge among AWS customers. In the future, uptake of AWS EKS (Elastic Kubernetes Services) and AWS Fargate (managed Kubernetes) may see wide adoption if there is true demand for a Kubernetes-first approach to container orchestration. Taking a step away from the container world, we found clues that AWS customers are more likely to adopt an open source technology if is offered by as AWS services. Specifically, when including AWS’s ElasticCache branded offering, Redis adoption surpasses that of MongoDB, while most surveys we’ve analyzed show Mongo out ahead. This points to a much-debated situation where open source business models are challenged by cloud providers that bundle open source into a broader offering. The below chart shows MySQL and PostgreSQL adoption that includes native installations, as well as AWS Aurora-hosted databases. Under the radar, AWS ECS is used by a large chunk of customers. 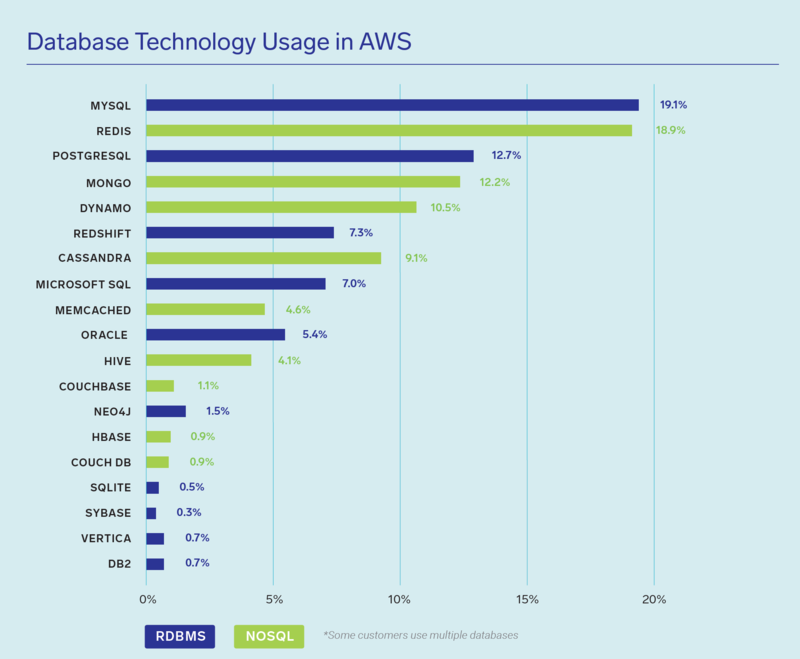 NoSQL bases show up in 45 percent of AWS customer environments as opposed to relational database management systems, which are identified in 39 percent. Lawrence Hecht has produced analysis and reports about enterprise IT markets for nearly two decades. He analyzes both distributed and decentralized technologies using surveys, interviews, and non-traditional market research techniques. The post Add It Up: Docker and Lambda on Par in AWS Environments appeared first on The New Stack.